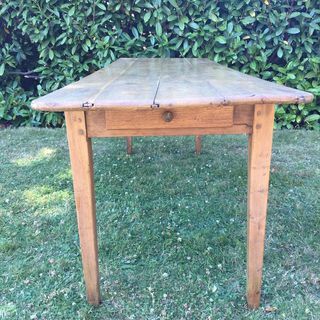 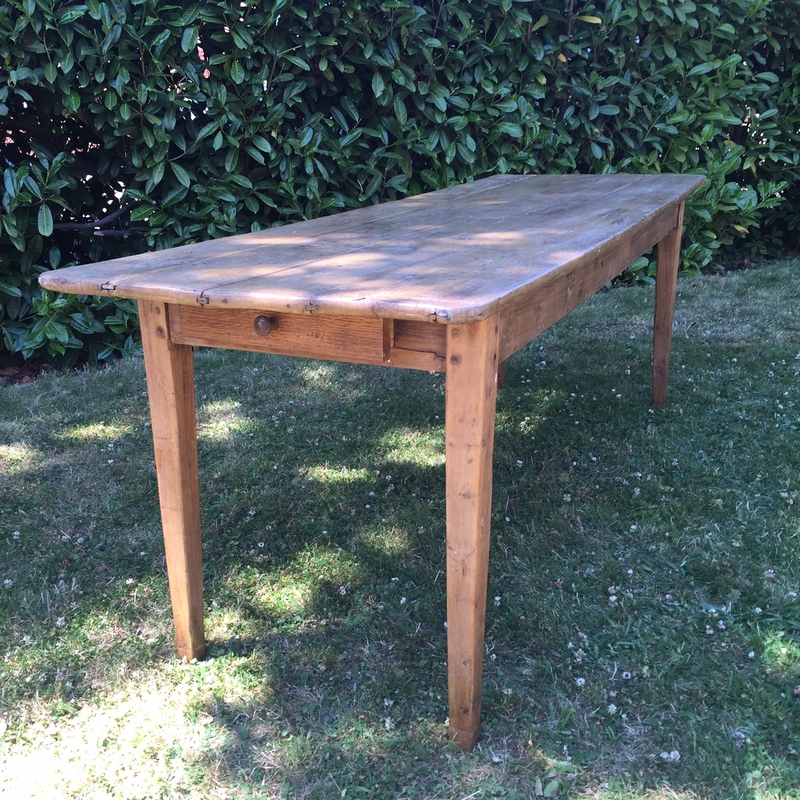 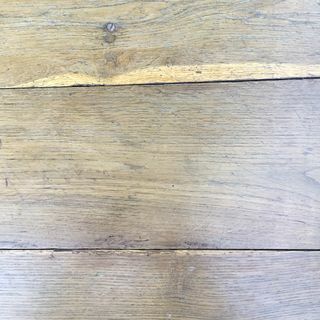 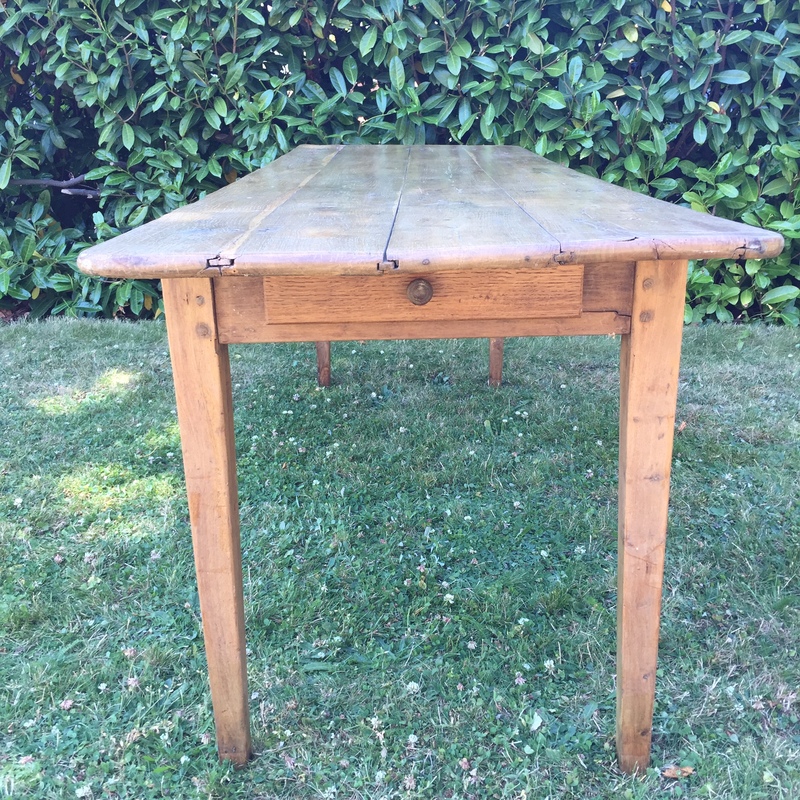 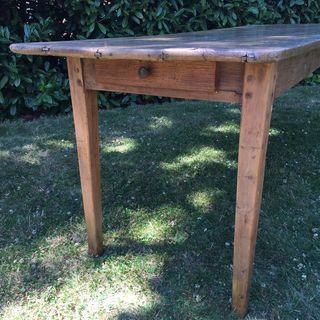 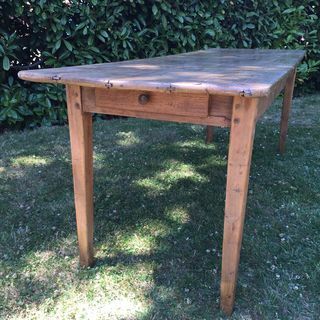 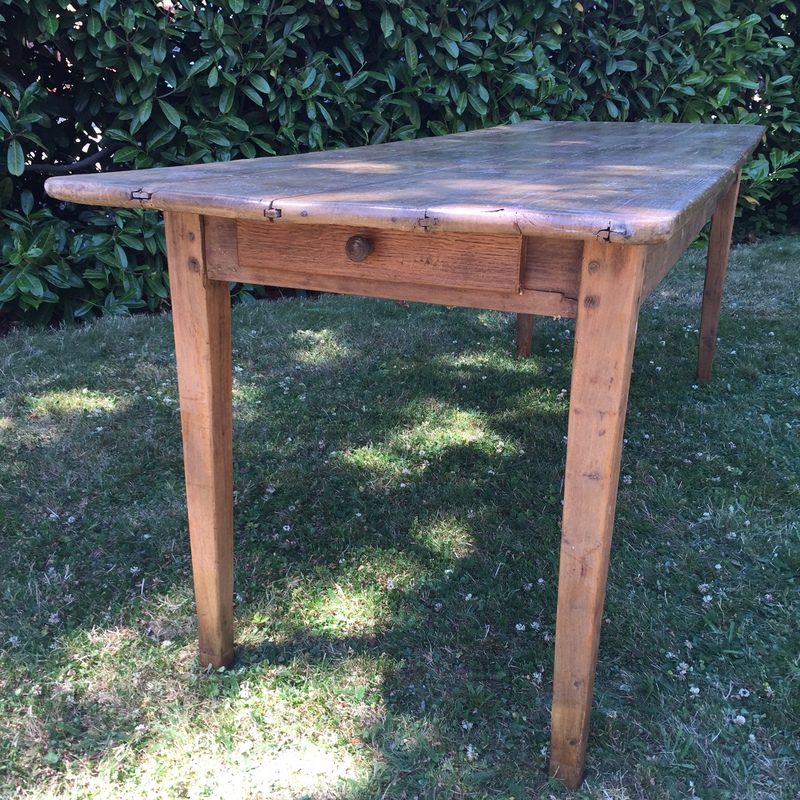 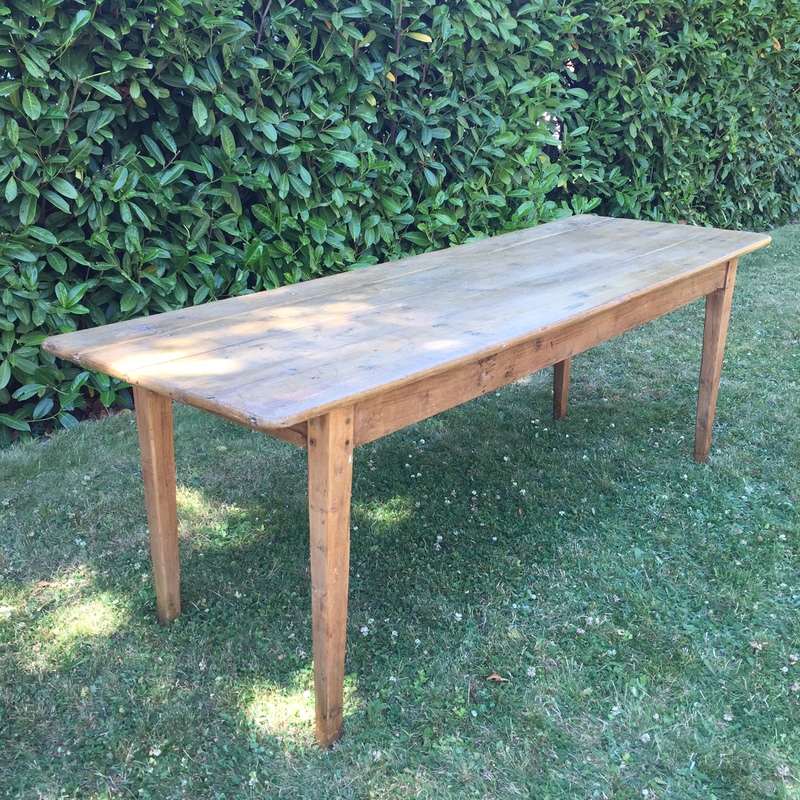 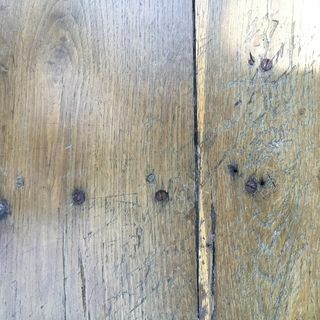 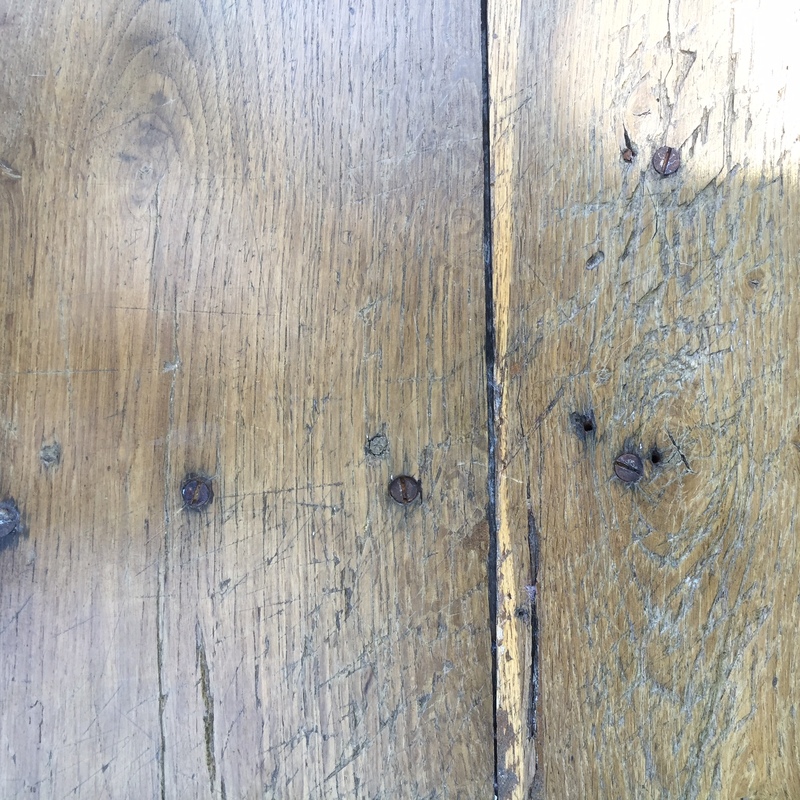 Early 19th century French farmhouse tables it ha single, later draw. 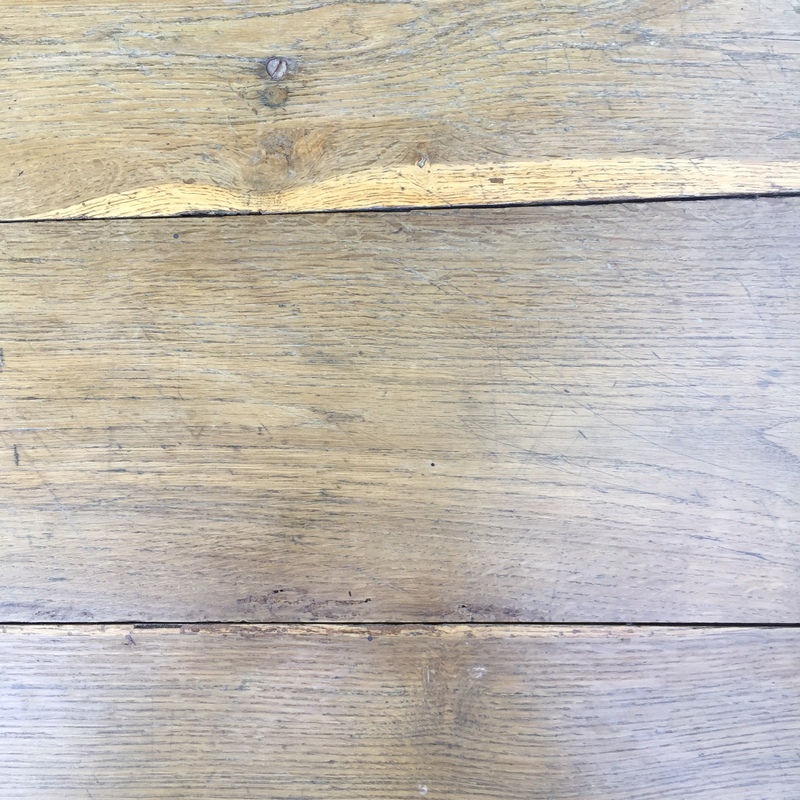 Four plank oak top showing the lighter spruce wood. 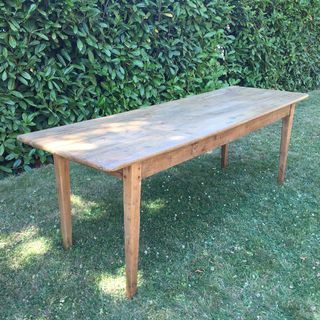 The legs have been tipped to dining height.